Winter is the best season to float fish for Roach in a lake. In the summer, other species are active and will bully the Roach away to take the bait. But as autumn turns to winter and the temperatures fall, the other species slow down, reduce their feeding and become less of an obstacle to the Roach angler. In the winter Roach shoal together in the warmest or safest areas of a lake. This may be over a dead weed bed, which can offer shelter and provide a little warmth from the decaying vegetation. Or the Roach may be in the warmest levels in open water. The best way to locate the Roach exactly, is to see them in the water. Failing that, you may spot them making small swirls or breaking the surface. Wind and rain can also play a part in where the fish might be. An easterly wind may send them to the downwind side of an island, or to the western side of the lake. A sudden shower of rain can send the fish deeper making them very hard to spot. In any event, expect that every time you go fishing for Roach in the winter, you will have to take time to find the fish, or at least make an educated guess. Part of being a successful angler is not only knowing where to fish, but also when. 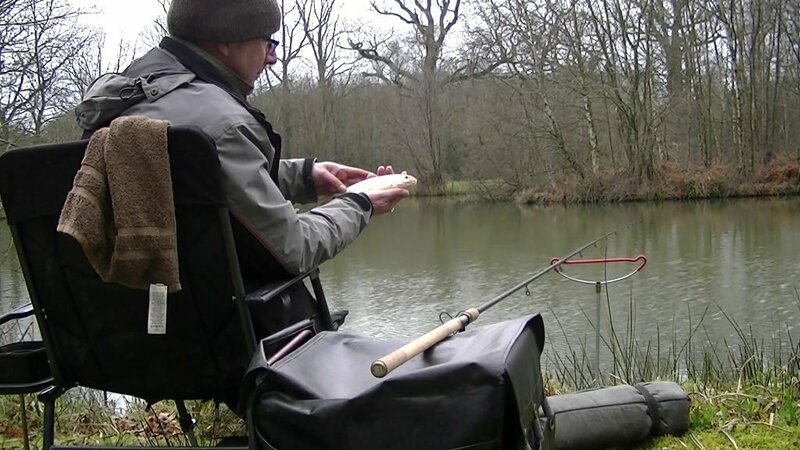 Although anglers report catching Roach in any and all conditions, I find the best weather is a calm, overcast, winters day, ideally with a light westerly breeze. But If the air temperature is predicted to be 4°C or less, I know the fishing will be very hard, so I won’t go until the temperature lifts. Float fishing for Roach has always been a delicate affair, more so perhaps in the clearer waters of winter. No need to take your beast subduing power float rod, a light match rod will suffice. 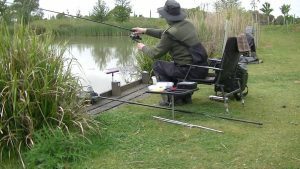 Hook links of 12oz or maybe 1lb, attached to a size 20 or 22 spade end hook, with main line of 2½lb to 3lb should be quite enough. An effective winter Roach bait is maggot; white maggots. I know red maggots are very popular, but I just find whites are better in the winter. The method of fishing is quite simple. Feed a very few maggots, every few seconds to maintain steady stream of maggots falling down through the water. 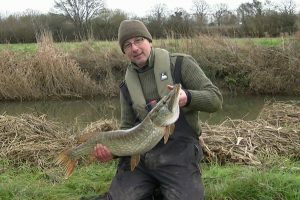 A waggler, ideally an insert waggler, or perhaps a canal grey, is fished on the drop and regularly cast into the sinking free offerings. 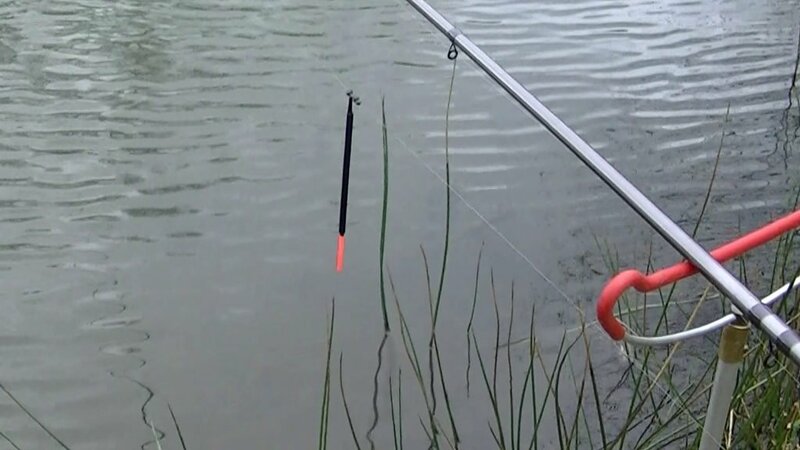 The Roach often reside in mid water, so have your hook bait stop at their depth. 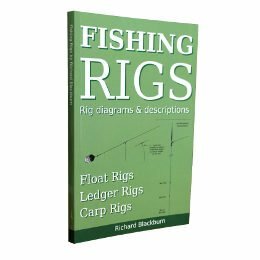 Experiment with the rigs depth to find the fish. If the fish change depth, then follow suite. If they move away, then try to follow them. If you find them resident over a dead weed bed, then present the bait just above the weeds, but be prepared to adjust the depth to allow the bait to fall right into the rotting leaves if needed. 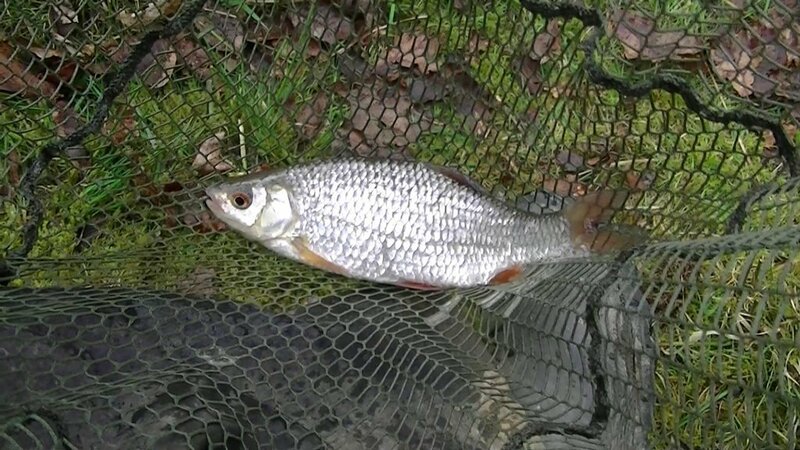 To sum up, winter Roach fishing allows you to use light tackle suited to Roach, at a time when most other species are inactive. 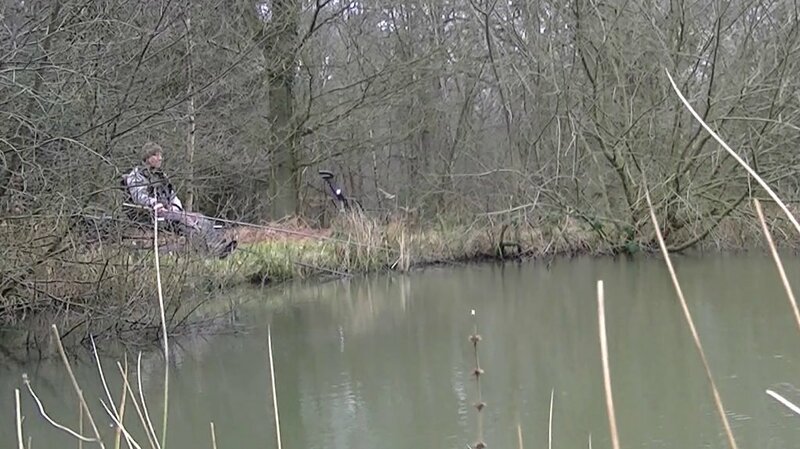 Fish on the drop with a waggler and feed little and often with maggots. The only tricky part of winter Roach fishing, is finding the fish, best of luck.